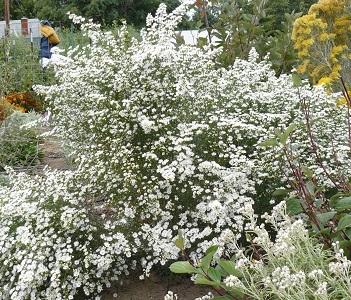 False Aster is a vigorous perennial that comes back from its roots every year to produce a cloud of white blossoms in late fall. Hundreds of white, aster-like flowers provide late season food for bees. Does not spread readily by seed. Height x Width: 4 ft. x 3 ft.